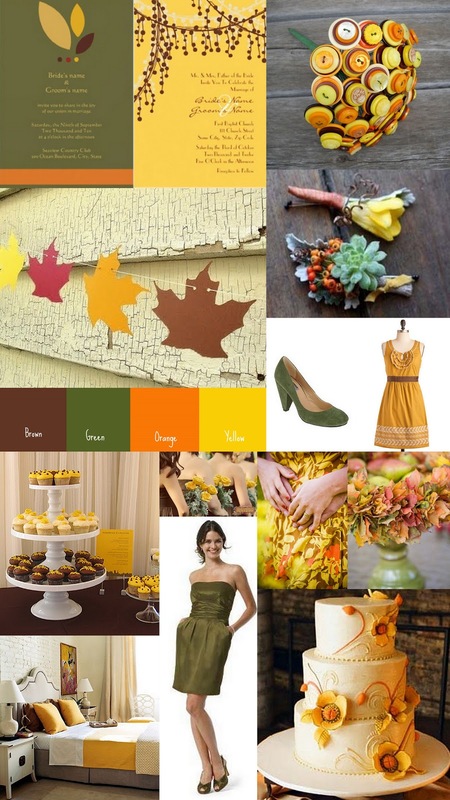 Here is another great color combo for fall! We know that incorporating a whole range of colors can be tempting, particularly for the fall season, and who are we to stop you?! What we will do is show you how to combine multiple fall colors in a way that is tasteful and sophisticated and not reminiscent of a hand print turkey. So, to pick a few colors we went with brown, green, orange and yellow. You could easily add more splashes of burgundy to this palette, if you so choose, but we like to keep things a little simpler. Plus, focusing on just these four lends to an almost vintage, 1970's feel that we are really digging.